Nancy Kerrigan is an American actor and a former figure skating champion. Check out this biography to knpow more about her childhood, family, personal life, etc. Nancy Kerrigan is an American actor and a former figure-skating champion. She represented the US at various international skating competitions and won a number of medals and accolades. Kerrigan developed an interest in figure skating at a very young age. Her parents encouraged her talent and arranged professional training for her, despite their meager income. Slowly, Kerrigan started getting noticed at the national level. She participated in the ‘US Figure Skating Championships’ and stood fifth in 1989 and fourth in 1990. When Kerrigan was aiming for greater heights in her career, she suffered an assault. The assailant was hired by the ex-husband of her competitor Tonya Harding. The incident made her famous worldwide. Kerrigan recovered from her injuries and made a strong comeback by winning a silver medal at the 1994 ‘Winter Olympics.’ After the ‘Olympic’ win, Kerrigan retired from professional competitions. She focused on touring the world with several ice skating troupes, such as ‘Champions on Ice’ and ‘Broadway on Ice.’ Kerrigan appeared on several TV shows and acted in a few movies, too. She was part of the dance reality show ‘Dancing with the Stars.’ She is a philanthropist. The ‘Nancy Kerrigan Foundation’ aims at providing support to visually-impaired people. 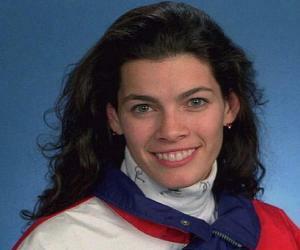 Nancy Ann Kerrigan was born on October 13, 1969, in Stoneham, Massachusetts. Her father, Daniel Kerrigan, was a welder, and her mother, Brenda, was a homemaker. 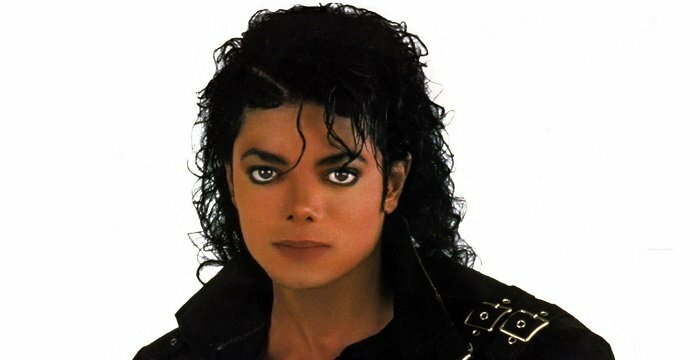 She has two elder brothers, Michael and Mark. Kerrigan’s brothers played ice hockey, and as a child, she accompanied her brothers to the rink. Gradually, Kerrigan developed an interest in figure skating. At the age of 6, she started training in figure skating. Kerrigan won her first competition, the ‘Boston Open,’ at the age of 9. After this success, her parents concentrated more on her training. Her father worked three jobs to provide money for her training. 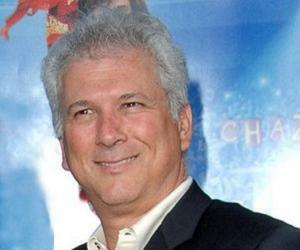 He also worked at various ice rinks in exchange for his daughter’s training. Kerrigan attended the ‘Stoneham High School.’ She then joined ‘Emmanuel College’ and majored in business. Kerrigan concentrated more on her skating practice at that time. She woke up early in the mornings to attend the trainings, before reaching school. Kerrigan trained under Theresa Martin, until she was 16. She then worked with Denise Morrissey for a brief while. Afterward, she was coached by famous figure-skating coaches Evy and Mary Scotvold, who continued to coach her for the rest of her career. In the 1987 ‘US Figure Skating Championship,’ Nancy Kerrigan secured the fourth position in the junior-level competitions. She was a strong jumper but was weak in compulsory figures. In 1988, she made her senior debut and secured the twelfth position. Kerrigan improved her national rankings over the next two years, securing the fifth position in 1989 and the fourth position in 1990. She was still weak in compulsory figures, but in 1990, they were eliminated from the competitions. In 1991, Kerrigan secured the third position in the ‘US Figure Skating Championships.’ She qualified for the ‘World Figure Skating Championships,’ where she earned the bronze medal. The gold and silver medals were also won by participants from the US. Kristi Yamaguchi won the gold, while Tonya Harding won the silver. For the first time in the ‘World Championships,’ all three medals were won by a single nation. In 1993, Nancy Kerrigan became the US champion in figure skating. The former champion, Yamaguchi, had retired from professional competitions by then. Although Kerrigan secured the first position, her performance throughout the year was weak. Her ranking plunged to the fifth position. The same year, Kerrigan fell thrice and missed landings at another event. In 1994, Kerrigan became the victim of an assault that affected her career tremendously. In January 1994, at the ‘US Figure Skating Championships’ in Detroit, Kerrigan was attacked by an assailant. She was hit on her right leg with a police baton. The assailant was identified as Shane Stant. The attack was planned by Jeff Gillooly, former husband of Kerrigan’s competitor Tonya Harding. After the assault, Kerrigan was forced to withdraw from the national championship. In spite of this setback, she was selected for the ‘Olympic’ team. Kerrigan underwent intensive training. At the 1994 ‘Lillehammer Winter Olympics,’ Kerrigan performed remarkably and bagged the silver medal. Oksana Baiul of Ukraine won the gold. It was a close tie between the two contestants. Soon, there was a controversy about the biased judgement of the German judge. 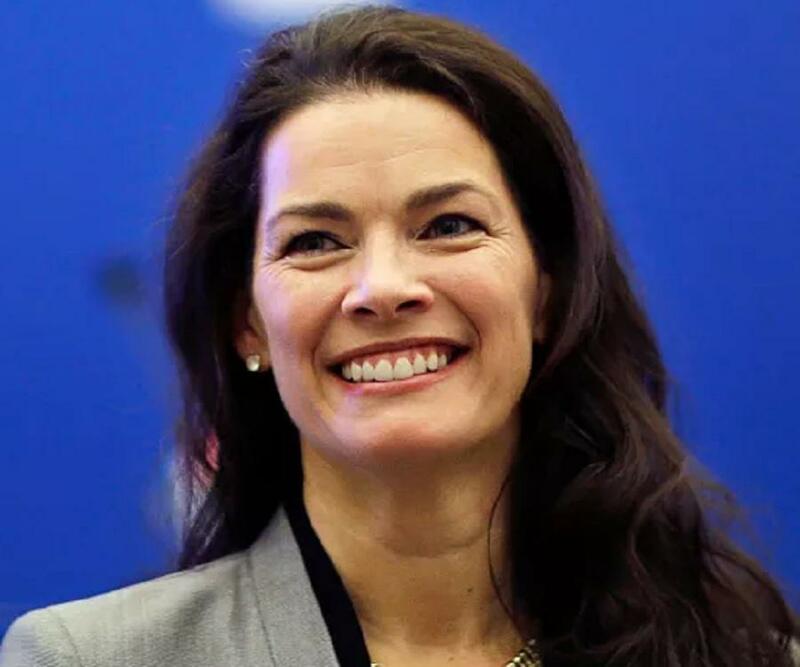 In 1994, Kerrigan hosted an episode of the TV show ‘Saturday Night Live.’ In 2005, she hosted the show ‘Nancy Kerrigan’s World of Skating,’ on ‘The Comcast Network.’ In 2006, she appeared on the ‘Fox’ reality TV show ‘Skating with Celebrities.’ In 2007, Kerrigan acted in the comedy movie ‘Blades of Glory.’ It was based on the lives of ice skaters. During the 2010 ‘Winter Olympics,’ Kerrigan served as a special correspondent for the news channel ‘Entertainment Tonight.’ She authored the book ‘Artistry on Ice,’ in which she explained advanced techniques of figure skating. In 2017, Kerrigan appeared on the ‘ABC’ dance show ‘Dancing with the Stars,’ as one of its contestants. She was eliminated in the seventh week of the competition. Nancy Kerrigan married her agent, Jerry Solomon, on September 9, 1995. This was Solomon’s third marriage. They have three children, Matthew, Brian, and Nicole. While trying to conceive, she suffered six miscarriages, within a span of eight years. Kerrigan currently lives in Lynnfield, Massachusetts, with her family. Kerrigan’s father, Daniel, died in 2010. Her brother Mark was accused of killing their father, and it was alleged that the death was a result of a struggle between the two. Kerrigan supported her brother and testified that her father suffered from heart disease. Kerrigan is a philanthropist. She founded the ‘Nancy Kerrigan Foundation’ to create awareness about blindness and to support visually-impaired people. Her mother’s blindness is said to have inspired Kerrigan to start the initiative. The media had filmed and aired the assault on Kerrigan in 1994 and her immediate reaction after the incident. The incident gave Kerrigan the image of a victimized professional. She also got the support of the general public. In 1994, after her ‘Olympic’ win, Kerrigan faced bad publicity. While waiting for the presentation ceremony, she made a comment about the winner, Oksana Baiul, which was very undiplomatic. It was caught on camera and aired by ‘CBS.’ This tarnished her image, and the media and the public soon turned against her. Following her 1994 ‘Olympic’ win, Kerrigan participated in a ‘Walt Disney World’ parade. At the event, the microphone caught her saying, “This is dumb. I hate it.” The media showcased this as a negative comment about the parade. Kerrigan justified her statement, saying that it was all blown out of proportion. 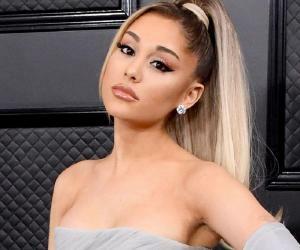 She also stated that when she had made the comment, she had referred to the insistence by the organizers that she should wear her silver medal during the parade.